Broadcasting platform StreamLabs has unveiled a new native App Store. 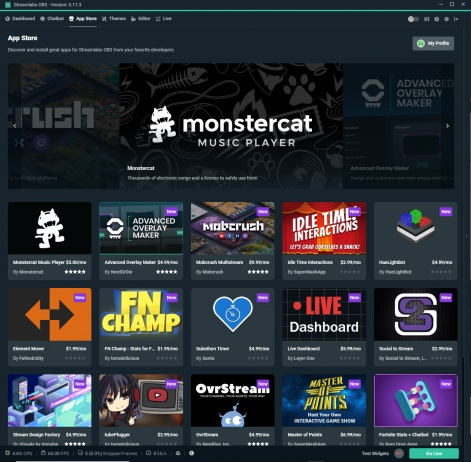 The store is full of apps that have been built entirely within StreamLabs OBS, and are available for streamers to purchase and use. "We are convinced that live streaming will continue to grow. Creators will push the boundaries in production value, will want greater automation and analytics, smarter ways to interact with their growing audience, and much more," StreamLabs' George Kurdin said in a recent blog post. "You (the creator) want diverse and rich features, often specific to your channel. Our goal is to support you on your journey as a creator, and our worst fear is when we are unable to allocate enough resources to deliver features that help you grow. Enter developers"
StreamLabs has revealed a $1m fund that has been cultivated to support developers creating apps for the platform. Each person that visits the StreamLabs App Store will receive $15 to spend on the apps that are currently available. There are 16 different apps listed in the store so far. The store is currently invite-only, as StreamLabs hopes to give the maximum support to each developer. 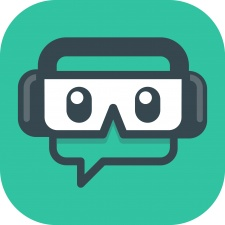 In an interview with us earlier this year, StreamLabs CEO Ali Moiz discussed how the platform differs from the likes of OBS and XSplit, and how the company hopes to further streamline the streaming process. Streamlabs CEO: "It's really exciting for us to make a product that allows people to make money while doing what they love."